In astrological parlance Mercury has been understood as an externally variable, vacillating, convertible, neutral and dualistic planet. Mercury reflects the mentality of an individual, governs the reaction to our senses and impressions and rules over the central nervous system. As an intellectual planet it represents intelligence, genius, analytic power and reproducibility. Mercury is the smallest planet of the solar system. The author of Lal Kitab has compared mercury with a bat, which keeps hanging upside down and pounces upon the face of a child at the first opportunity. The native fails to understand anything and meanwhile the mysterious and mischievous mercury turns the cycle of fortune in the reverse gear. 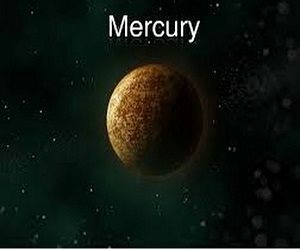 Mercury produces the effects of the planet or planets it is associated with. Mercury is considered malefic in the 3rd, 8th, 9th and 12th houses. Rahu gives bad results in 1, 5, 7, 8 and 11th houses. 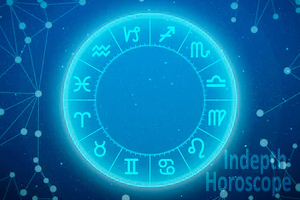 If mercury and Rahu both are in their auspicious houses then Mercury causes havoc in the natives houses and produces disastrous result like putting the native behind the bars or creating troubles of the same sort. Mercury is considered auspicious in the 1, 2, 4, 5, 6 and the 7th houses and gives bad results when placed in the 3, 8, 9, 10, 11 and 12th. Its colour is green and moon is its enemy. Sun Venus and Rahu are friends, whereas mars, Saturn, and Ketu are neutral to him. 7th house is the Pukka ghar of mercury. It stands exalted in the 6th house and gets debilitated in the 12th house. affected Venus causes diseases of tooth and nervous system. If mercury is placed alone in any house the native keeps running and wasting time here and there. Mercury in 1st house makes the native kind, humorous and diplomatic with administrative skill. Such a native generally lives long and becomes selfish and mischievous by nature having special attraction for non-vegetarian dishes and drinks. He receives favour from the government and his daughters have royal and luxurious lives. The relatives represented by the house in which sun is placed gain wealth and riches within a little time and he himself will be having many sources of income. If Sun is placed along with Mercury in the 1st house or if the Mercury is expected by Sun the wife of native will come from a rich and noble family and will be good natured. Such a native will be affected by the evil effects of Mars but Sun will never give bad effects. Rahu and Ketu will have evil effects, which suggests that the in laws and the offspring of the native will be adverse. If mercury is in the 1st house, the native will be adept in the art of influencing others and he will live like a king. Malefic Mercury in the 1st house along with Moon in the 7th house destroy the native because of intoxication. Keep away from the things of green colour and sisters in law. Avoid consumption of meet, eggs and liquor. business that requires your sitting at one place would be more beneficial than the one that requires running around. Mercury in the 2nd house makes the native intelligent self centered, destroyer of enemies and cheats. He may be able to provide sufficient happiness to his father. he will be rich. The things represented by mars and Venus will prove beneficial to him. Abstain from eggs meat and liquor. Association with your sisters in law is harmful. Keeping sheep, goat and parrots as pets is strictly prohibited. Mercury in the 3rd house is not considered good. Mercury is inimical to Mars. But Mars does not have enmity with mercury. therefore the native could receive benefits from his brother, but he will not be beneficial to his brother or others. By virtue of its aspects of 9th and 11th houses Mercury affects the income and the condition of the father very adversely. Clean your teeth with alum everyday. Feed birds and donate a goat. Don't live in a south facing house. The native in the 4th house is considered fortunate, very dear to his mother, good trader and receives favours from the government. However mercury in this house effects the income and health of another person adversely. Putting on silver chain for mental peace and golden chain for gaining wealth and property. 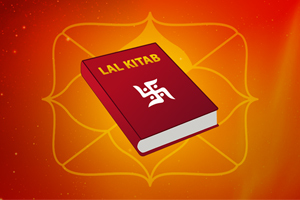 Putting kesar tilak regularly for 43 days on fore -head. Serving monkeys by offering jaggery. Serving cows for the happiness of wife and good luck. A Gomukhi house (narrow at the front and wider at the end) would prove highly auspicious where as Shermukhi house (wider at the front and narrower at the end) would prove highly disastrous. Mercury becomes exalted in the 6th house. The native will be selfmade man and will receive benefits from agricultural land, stationery, printing press and trade. Good or evil words from his mouth will never go waste. north facing house will give bad results. Daughter's marriage in the north direction will make her unhappy in every way. Burying a bottle filled with Ganga water into the agricultural land. Putting on a silver ring in the left hand of ones wife. Starting any important work in the presence of a girl or daughters, or with flowers in hand proves auspicious. In a male horoscope, mercury in the 7th house proves highly beneficial for others for whom the native wishes well. in a female horoscope it produces good result. The pen of the native wields more power then the sword. The sister of the native's wife will prove highly helpful in every matter. If a Moon is placed in the 1st house, overseas journey will be advantageous. Saturn in the 3rd house will make the wife's family very rich. Do not keep relationship with sister in law of spoilt character. 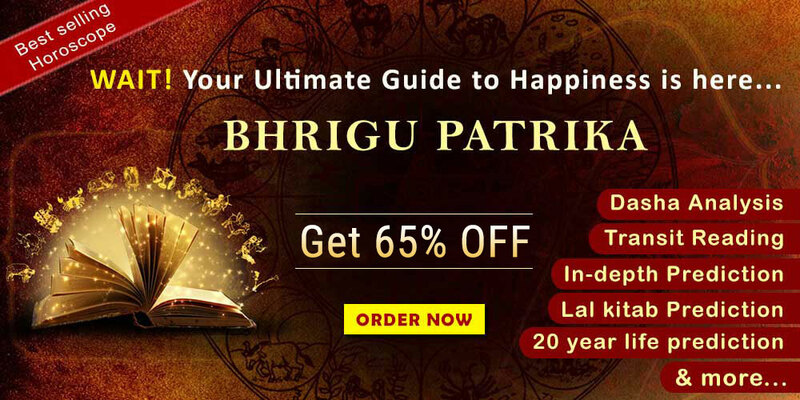 Mercury gives very bad results in 8th house, but if it is placed along with a male planet it will give good effects of the associated planet. The native lives a hard life, victimized by diseases and during the age 32-34 his income goes down by half. It is more harmful if some planet is placed in the 2nd house. If Rahu is also placed in the same house the native may have to go to jail, may have to be hospitalized or may have to wander from place to place. Bad results accrue if mars is also placed therein. Mercury here causes disfavour from the government and diseases like blood disorder, eye problem, tooth and vein troubles, as well as big loss in business. Get an earthen pot filled with honey and bury it in the cremation ground or deserted area. Place milk or rain water in a container on the roof of the house. Put a ring in the nose of your daughter. Mercury provides very bad results in the 9th house also, because this house belongs to Jupiter and Mercury remains inimical to it. It causes continuous mental restlessness and defamation of various types. If moon, Ketu and Jupiter are placed in 1, 3, 6, 7, 9 and 11th houses, mercury does not give very advantageous results. Avoid the use of green colour. Offer mushroom filled in an earthen pot to a religious place. Do not accept any tabeez from any sadhu or faqir. Mercury in the 10th house provides favour from the government. Gives good sources of livelihood.he manages to get his work done in every way. The business of such a native flourishes in a shermukhi house, but residency in such a house gives very bad result and can be disastrous. Consumption of eggs, meat and liquor are strictly prohibited. Offer rice and milk in religious places. Mercury in this house gives bad results, because of enemity to Jupiter. At the age of 34 the native undertakes works of extreme foolishness. here mercury causes loss of wealth, loss of mental peace and loss of reputation. Even hard work is not awarded. however the children of native will be well educated and get married in very rich and noble families. Wear copper coin in neck in a white thread or silver chain. Do not keep a widowed sister or father's sister in your house. Avoid green colour and emerald. Do not accept any Tabeez from a sadhu or faqir. Mercury here destroys night's sleep of the native and causes troubles of many sorts. He loses peace of mind and very often suffers from headache. he has a long life but suffers from mercury, although, however, if mercury is accompanied by Saturn in this house very good results follow. Saturn along with sun and Mercury in 12th house also gives good result. Daughters, sisters, father's sister and niece will be unhappy as long as they are living in the native's house. Such persons are generally self praising and of irritable nature. If something right or wrong goes into his mind, he will ensure to stick to it in every manner. If such a native is fond of taking liquor he will be of pretentious nature. 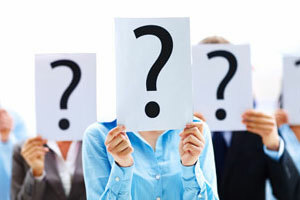 Speculation in business will prove harmful. Marriage in the 25th year will prove harmful for the native's wife and father. Throwing new empty pitcher in a river. Putting on a ring of stainless steel. Putting kesar tilak on face, head and visiting religious places of worship. Taking advice of another person before starting any new or important work.